Swimming lessons starting as young as 4 months old are designed to educate the parents on the fundamentals of Learn to Swim. Following a 7 step process parents can track and understand the steps needed to see consistent progress. Learn holds, conditioning, strength exercises and much much more. During lessons, my focus is on learning – talking with the parents and educating them about on different methods and skills they can introduce to assist the development of each child. Songs can be great for building a positive environment for a beginners, however I’d prefer to keep the focus on making the most from the 30 minute swimming lesson. I am a firm believer that children should learn to swim without the aid of floatation devices. In certain circumstances floatation aids can be introduced briefly to aid the progression, but children should be taught breath control and feel buoyancy to enable a positive aquatic experience. The baby and toddler classes are grouped in age. This enables me to introduce certain practices that are pertinent to the child’s development. Classes that have multiple age groups can slow the progression and usually restricts the introduction of more advanced skills. Classes are split into the following age groups. School aged Learn to Swim classes are grouped based on the child’s ability. A FREE assessment is done before enrolling into the program, so they can benefit from start lessons in a class of peers. A fun and stimulating learning environment will promote trust, understanding and improvement. 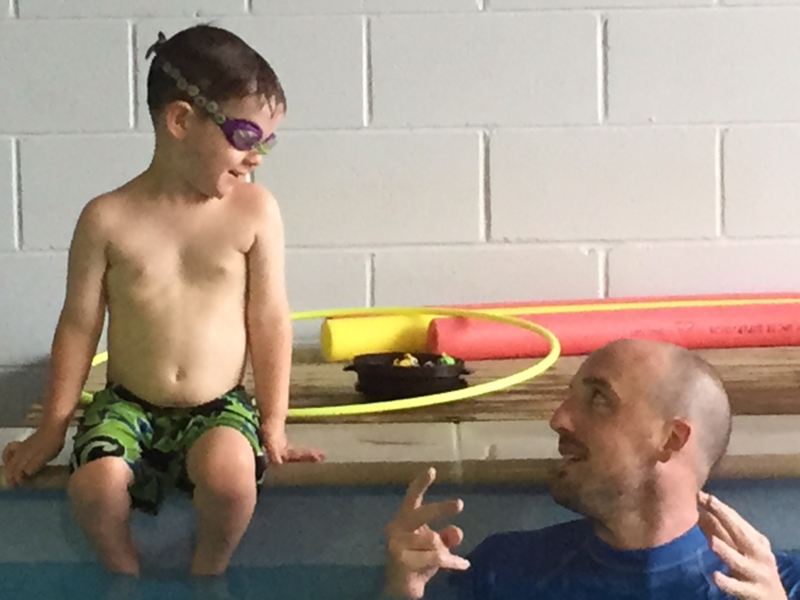 Every swimming lesson begins with 5 minutes of kicking practice. When progressing towards a combination of kicking, paddling and breathing drills it is important that each skill is practiced effectively to ensure good technique and coordination.